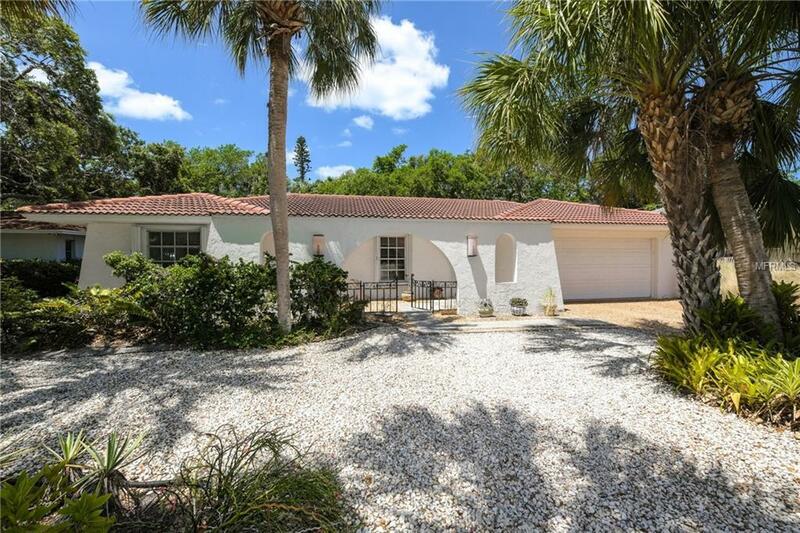 Close to Siesta Beach, this wonderful 3-bedroom, 2-bath pool home is perfect as a full-time residence or a beach getaway. Located in a quaint neighborhood just 4 minutes to Siesta Keys famous powdery white sands and azure waters of the Gulf of Mexico. Through an iron gate, the charming entry leads you to a wonderful split-bedroom floor plan that includes a large living room, dining room and family room, which is open to the fabulous, sleekly updated kitchen (2010) featuring stainless steel appliances, custom cabinets and tile backsplash. The spacious master bedroom offers a large walk-in closet and chic updated master bath (2013). Two guest bedrooms, one currently used as an office and the other a den with a murphy bed, both share the guest bath. Interior laundry room with front-loading washer and dryer. The private, screened lanai and pool area is the perfect gathering place to entertain family and friends. Enjoy relaxing poolside in the day and the balmy Gulf breezes in the evening while dining al fresco under the large covered lanai. Concrete block construction, barrel tile roof (2007), two-car garage and hurricane protection. Minutes to Siesta Village and only 15 minutes by car to the urban amenities of downtown Sarasota.